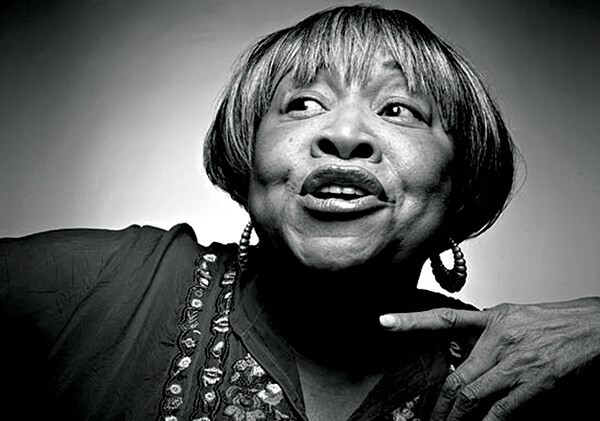 In a 2008 interview, Mavis Staples looked back to the beginning of her career to describe how surprised she was by the enormous crowds that turned out to hear the Staples Singers perform their first big hit, "Uncloudy Day." As it happens, the crowds were just as surprised as she was. "They had bets," she says, remembering doubts that were expressed by people in the crowds that so much sound could possibly come from such a small woman. "No one thought that such a great big voice could come out of me," she said. But it did. Today, as Staples tours her ample catalog of hits around the country with blues guitar virtuoso Buddy Guy in tow, similar bets might be taken as to whether or not a pair of headliners with 152 years of experience between them can still put on a show. But smart money knows not to ever bet against either one of these performers. Mavis' dad Roebuck "Pops" Staples launched his family gospel group in the 1950s. The influential group crossed over into pop with songs like their Stax recording "Respect Yourself." The Staples became a major part of the civil rights era soundtrack. By contrast, Buddy Guy didn't have much luck as a young solo artist recording for Chicago's Chess label. Guy was used primarily as a session player backing the label's bread and butter artists like Muddy Waters and Howlin' Wolf. Studio executives found Guy's style too eccentric and abrasive for mass consumption, and he didn't achieve real enduring fame until the blues revival of the 1980s, when he became a regular on the festival circuit. After that, no list ranking the world's greatest guitar players was complete without Guy's name appearing somewhere in the upper third. The Blues is Alive and Well Tour, as the Mavis and Buddy Show is being called, arrives at the Horseshoe Casino in Tunica Friday, February 22nd. Smart money predicts a helluva show.